Following up the previously announced Nendoroid Sheryl Nome from Macross Frontier, Nendoroid Ranka Lee is getting the preview photo session by Mikatan earlier today. As you can see in the pic above, she will be wearing her “Seikan Hikou” outfit seen in the second opening of the TV series as well as in the final episode. Aside from the usual optional body parts and a lovely mic, she will also have three faceplates: winking, shouting, and singing expression. Similar to Sheryl, Ranka comes with stage parts that look like the deck of one of the Macross ships. 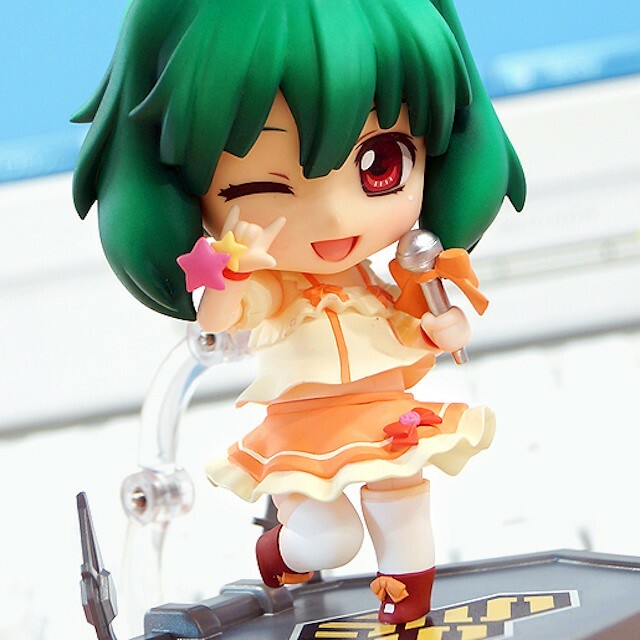 The stage part connects onto the standard Nendoroid stand to create a little floating stage for Ranka to perform on. This entry was posted in News and tagged macross frontier, nendoroid, ranka lee.